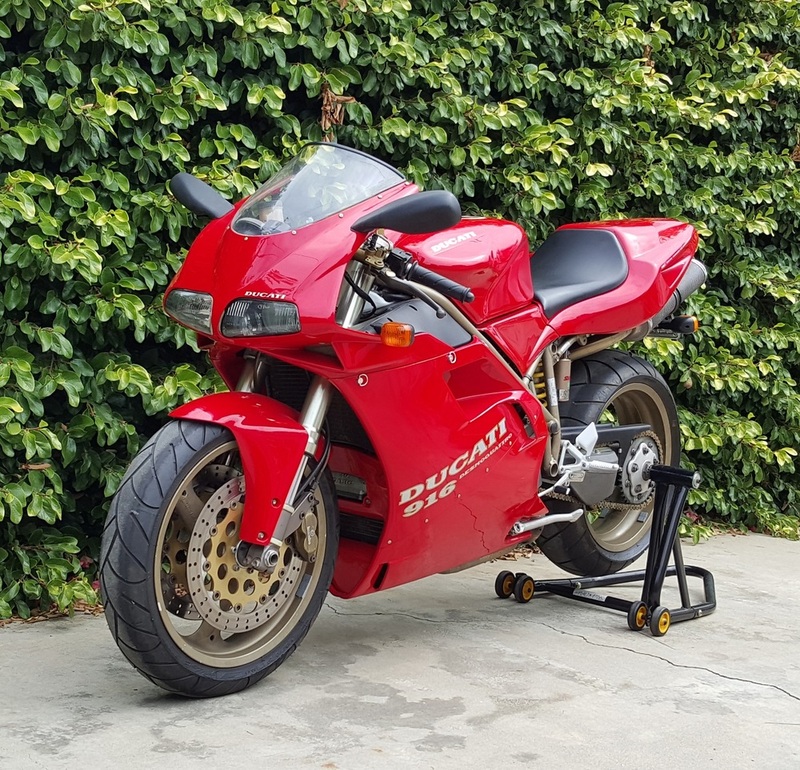 This classic and collectable Ducati 916 is in excellent shape and is in close to standard configuration. The Mono tail, Termignoni carbon fiber mufflers and full-floating stainless steel front brake rotors hint at a more aggressive nature than the stock bike. The engine has been tuned with a Power Commander III on the dyno and feels very responsive. 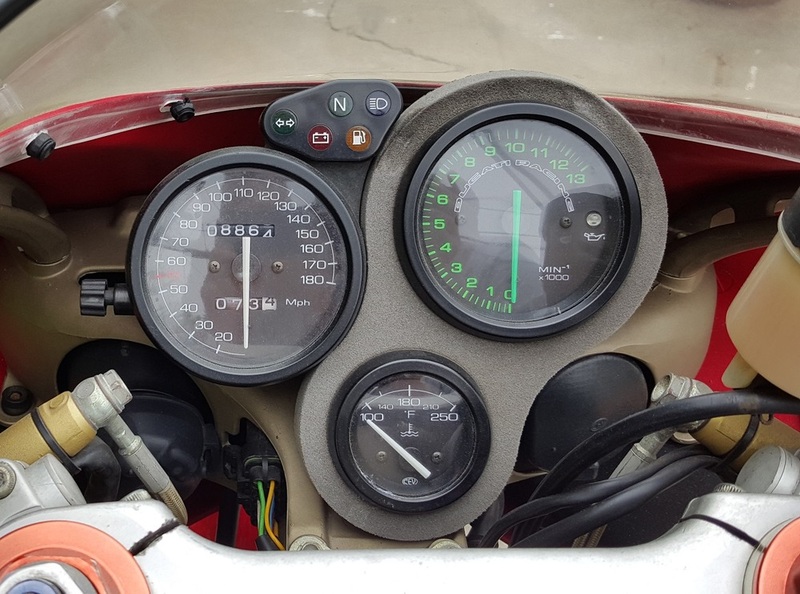 The instant torque and high rpm power-hit make this famous Ducati model a thrill to ride. New battery, fuel/air/oil filters, brake and clutch levers (OE adjustable), stator, chain sliders, fairing hardware and grips. The tires are in almost new condition and the clutch has been upgraded to a Barnett aluminum basket with new plates. All fluids have been replaced including the hydraulic fluid and coolant. Additionally, the rear brake master cylinder and caliper were replaced. Everything works including the charging light. The ride and handling on this Ducati 916 are legendary. The suspension and brakes are up to hard riding while the engine performance is more than enough for street use. Overall, this was one of Ducati's masterpieces; a balanced, powerful motorcycle that won't go down in value.